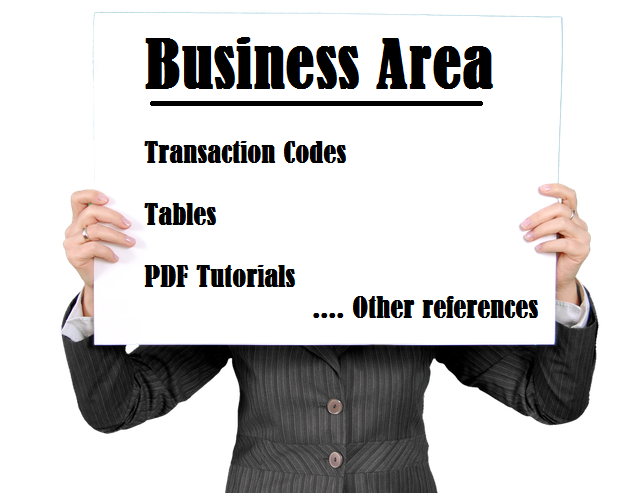 The term Business in area in SAP refers to a section or an operational area/wing of a company. This separation is used for financial accounting purpose and it is useful for large companies. For an example Sales, Marketing & production can be considered as three different business areas of a company. XAUGS : Activate display authorization for business area? FC_GBCOBL : Check if company code/business area is active in doc. XGBTR : Separate Payments for each Business Area?